Kindred Oaks is a beautiful venue with spectacular views. The gorgeous sunset through the trees make for the perfect setting. 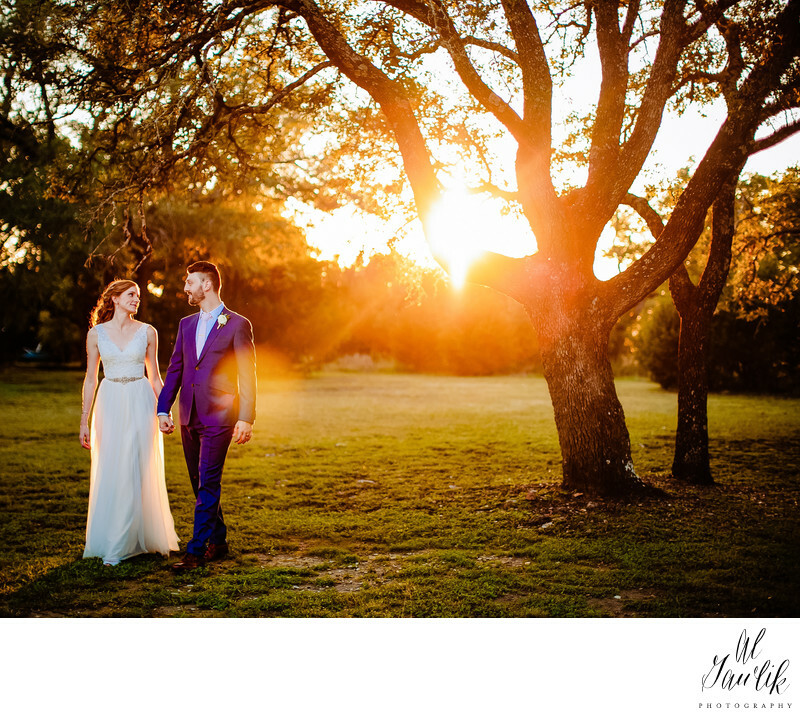 This Hill Country venue is the perfect location for any couple looking for a one of a kind experience in Georgetown. The aged Oak trees, antique doors and scenic views are perfection for any couple looking for an intimate wedding with family and friends. I like to capture these soft intimate moments with the couple after the ceremony because it is their first time as husband and wife alone. That is important and so I give them a moment to take it all in. I walked this couple out into the field and just gave them a moment together. I told them when they were ready to walk towards me holding hands looking at each other but not saying a word, just taking the day all in. Moments like these are important to capture. I like to give the couple as much direction as they ask for during portraits, but guide them in the direction of the best light. I want it all to be natural and not forced. To me this image captures their journey in to the next chapter of their lives together. Location: 2100 Co Rd 176, Georgetown, TX 78628.